Our cat toys are adored by felines everywhere! Treat your puss with our 3 for £10 felt ball toys. 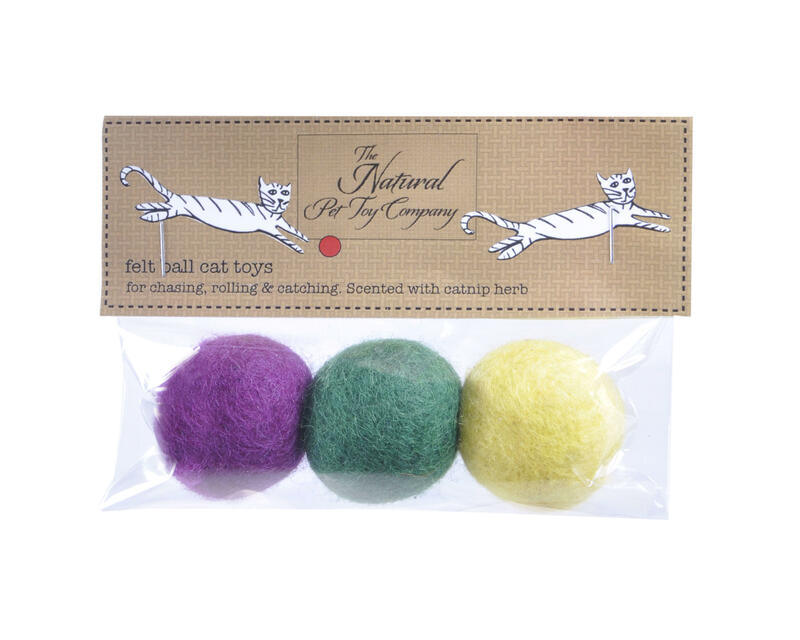 This offer contains 3x packs of felt ball toys (9 felt ball toys in total) - making the perfect gift to treat one cat or more! Each pack contains three assorted colours - handmade from the softest merino wool, these luxurious cat toys are lightweight and naturally bouncy, so perfect for your cat to roll, chase and catch. They make an ideal toy for cats and kittens who enjoy active play and love to chase things but sadly, these toys are not suitable for dogs! We store our felt ball cat toys in loose catnip herb, so they are lightly scented but they do not contain any catnip in their construction. These are not children’s toys. Size: Each felt ball cat toy measures 3cm (approx) in diameter. 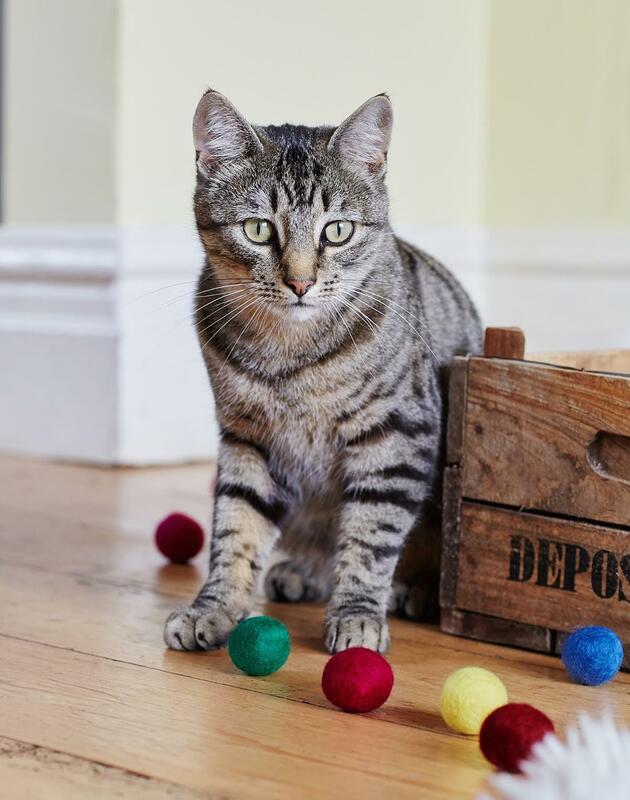 These cat toys are handmade in Nepal and scented and packed in Bristol. Felt colours may vary from ones shown. Please note this toy is designed as a chase toy. It does not contain catnip in its construction and is unlikely to incite the same reaction as our catnip mice, fish, rabbits or birds.